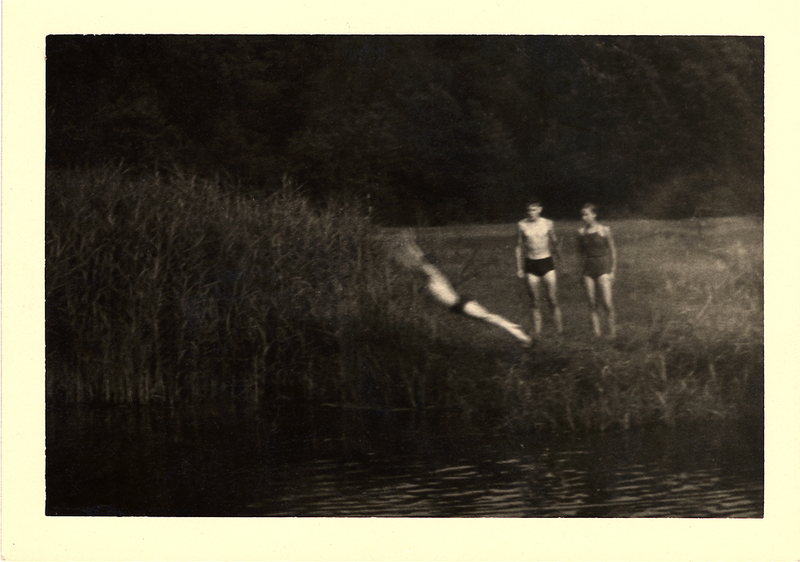 It was an exciting weekend for TOKY New Business Director John Foster, whose collection of vernacular photography earned press on both coasts. Robert Shuster of New York City’s Village Voice highly recommended Foster’s recently donated photograph of two adolescent girls (“The beautiful composition contains an instant of pubescent joy, but also includes — like many of the show’s pictures — the aching mystery of all the years that came before and after”) to those attending the International Center of Photography’s show, A Short History of Photography. 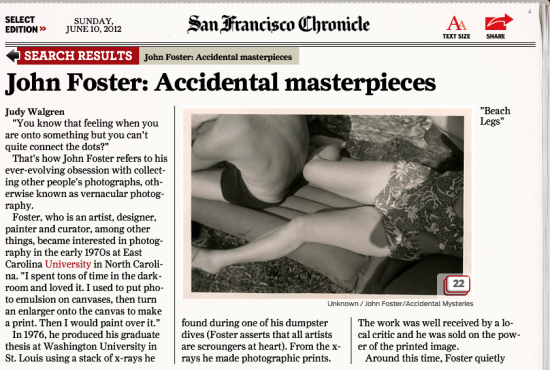 Across the country, Foster made news again, this time in Judy Walgren’s in-depth profile for the San Francisco Chronicle, “John Foster: Accidental masterpieces.” The Chronicle piece includes a 20-image slideshow, so be sure to click through. Congrats, John!